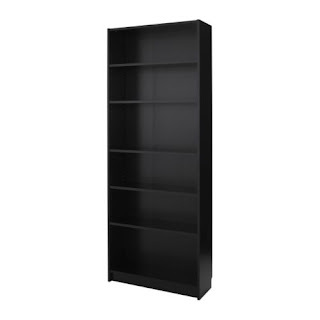 I forgot to take a before picture but snagged this one from the Ikea website. I'm sure I've mentioned that we recently bought an old house in Greenbelt, MD and with old houses come space challenges. I've now, in less than a year, rearranged our living room/dining room 3 times and I think I finally got it right. 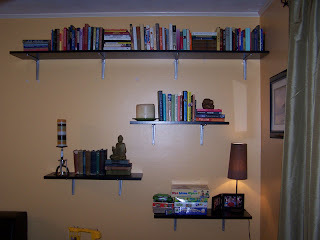 I took a Billy Bookcase from Ikea and took it apart to use the wood as shelves. I also bought the brackets from Ikea. What is great about this new layout is that the boys' toys live under the shelves and out of the walkway of normal life. I am so over stepping on Spiderman and his accessories. I can now say that every square foot is functional, at least downstairs.